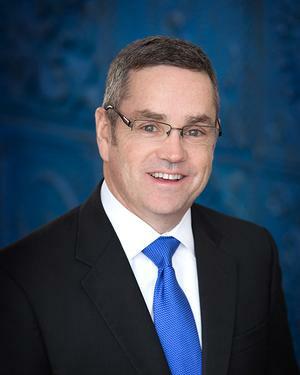 Michael F. Shearon, AIF®, C(k)P® joined Flynn Benefits Group as Managing Director, Retirement Services in May 2006. He began his career in the retirement plan and financial services industry in 1989. Prior to joining Flynn Benefits Group, Mike enjoyed a successful 10 year career with two of the nations leading retirement plan providers where he consistently was recognized for excellence in sales production, service and management leadership. In 1998 he joined PaineWebber in an investment advisory capacity where he focused on individual financial planning as well as providing retirement plan advisory services to fiduciaries and participants of mid-size and large corporations and non-profit organizations. In 2009 and 2010, Mike was selected as one of 401(k) Wire's 300 Most Influential Advisors in Defined Contributions. Mike earned a B.A. in Communications and Business from Marquette University. He is an Investment Advisor Representive and holds his Series 26. Mike has earned the Certified 401(k) Professional Designation, C(k)P®, from The Retirement Advisory University at UCLA Anderson School of Management Executive Education. The C(k)P® designation is awarded selectively to those with experience managing retirement plans, and who have completed the high level academic courses specialized for retirement professionals. Beyond classroom success, the Certified 401(k) Professional designation requires the candidate to exhibit positive results in handling retirement plans before applicants can consider themselves among the top retirement plan advisors in the country. Active in his community and church, Mike is a past chairman of the Parish Council for St. Patrick’s Church in Brighton, Michigan. He has contributed his time coaching boys' basketball through the Howell Athlectic Associate of Christian Homeschoolers and continues to volunteer this time teaching in his parish.